Most countries have grounded all Boeing 737 Max airplanes, triggering numerous flight cancellations around the globe and leaving travelers stranded. Two Boeing 737 Max planes have crashed in the past few months, so airline passengers are probably relieved to hear that regulators have grounded the plane model. However, that doesn’t make the headaches caused by the many flight cancellations any easier to deal with. A Boeing 737 Max aircraft operated by Ethiopian Airlines crashed earlier this month, claiming the lives of the nearly 160 people who were aboard. It was the second deadly crash involving this plane model in less than 5 months. The other crash occurred in October when a Lion Air jet crashed after takeoff in Indonesia, killing almost 190 people. Citing unnamed sources, Bloomberg reports this week that the same plane which crashed in Indonesia nearly crashed the day before. In fact, an off-duty pilot who just happened to be in the cockpit at the time of the incident helped the crew avert that crash, which was blamed on a malfunction with the plane’s safety system. The very next day, the Boeing 737 Max crashed while being piloted by a different crew. Citing three unnamed sources, Reuters reported exclusively that the crew looked through the handbook in the cockpit to find out how to stop the plane’s nosedive, but obviously, they were unsuccessful. U.S. regulators grounded all Boeing 737 Max 8 and 9 aircraft after pressure following the Ethiopian Airlines crash. According to Time, American Airlines and Southwest Airlines operate the two aircraft in the U.S. Southwest reportedly makes the widest use of the 737 Max with 34 of them in its fleet, while American operates 24 of them. NPR also reports that United does also operate some of the aircraft. U.S. travelers who fly on American or Southwest are advised to triple-check their flights to see if they have been cancelled. According to Time, there could be a capacity shortage on flights for a while. It’s unclear just how long the planes will be grounded. AirCanada has announced plans to ground its 737 Max aircraft until at least July 1, although regulators and most other airlines have not offered any such timelines. AirCanada has made adjustments to make up for the grounded planes. 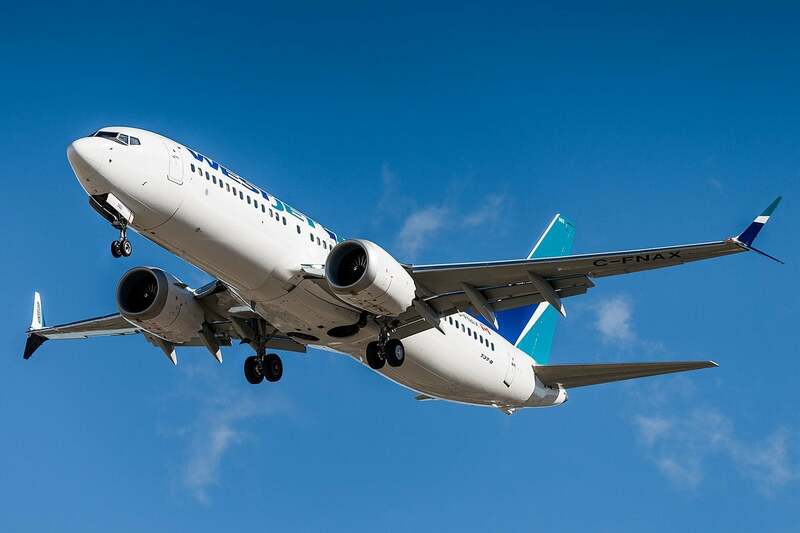 According to the Montreal Gazette, the airline’s modified plans through April 30 will cover 98% of its scheduled flights. NPR reported that this past Thursday, there were more than 2,100 flight cancellations in the U.S. Most were reportedly caused by the late winter storm with “a handful” of flights being canceled due to the Boeing 737 Max. As of today, FlightAware lists more than 860 flight cancellations. Airlines seem to have mostly adjusted their schedules, but some flights could still be affected, especially those that were booked weeks or months ago. Boeing is reportedly working on a software patch for the anti-stall safety system which has been implicated in the two plane crashes. However, Forbes warns that the aircraft maker could face major barriers when it attempts to convince regulators around the world that the 737 Max planes are safe again. The U.S. Federal Aviation Authority may have inadvertently made things more difficult for Boeing by stalling the decision to ground the 737 Max. Because of that delay, regulators from other countries are not willing to approve the aircraft in their respective countries on the word of the FAA. According to Forbes, the FAA’s decisions were previously “almost universally accepted by aviation authorities” around the globe. The result could be a much more arduous recertification process for Boeing, which will now have to deal with regulators in each individual country. The software patch the aircraft manufacturer is working on will undoubtedly receive much deeper scrutiny. Until regulators approve it, airlines will have to continue making concessions to cover all their flights with smaller fleets. Those who are affected by the flight cancellations caused by the grounding of the 737 Max—or any other reason, for that matter—are advised to work with their airline. Travelers may also want to learn about their rights as a passenger if the airline does not assist them in a timely and satisfactory manner.